It is often said that the third time is a charm. 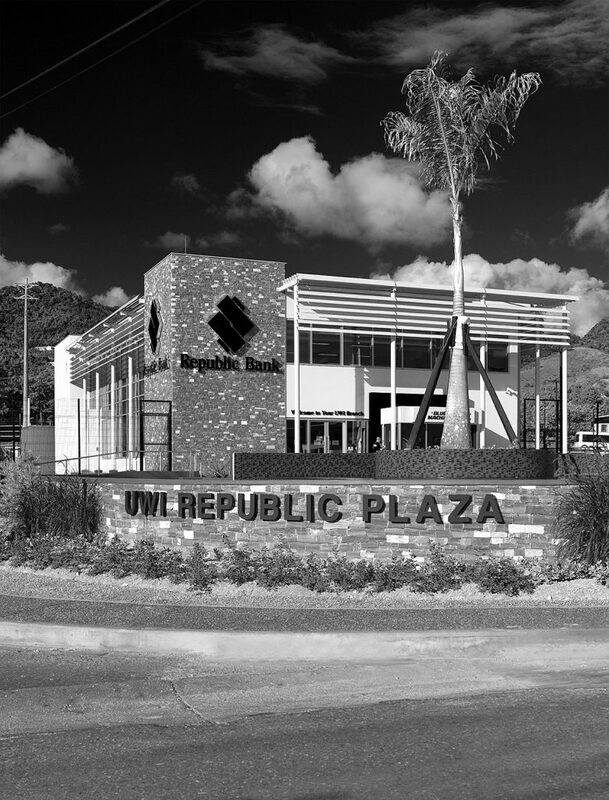 The new Republic Bank UWI is one such case, being the third iteration of a project nearly 10 years in the making. 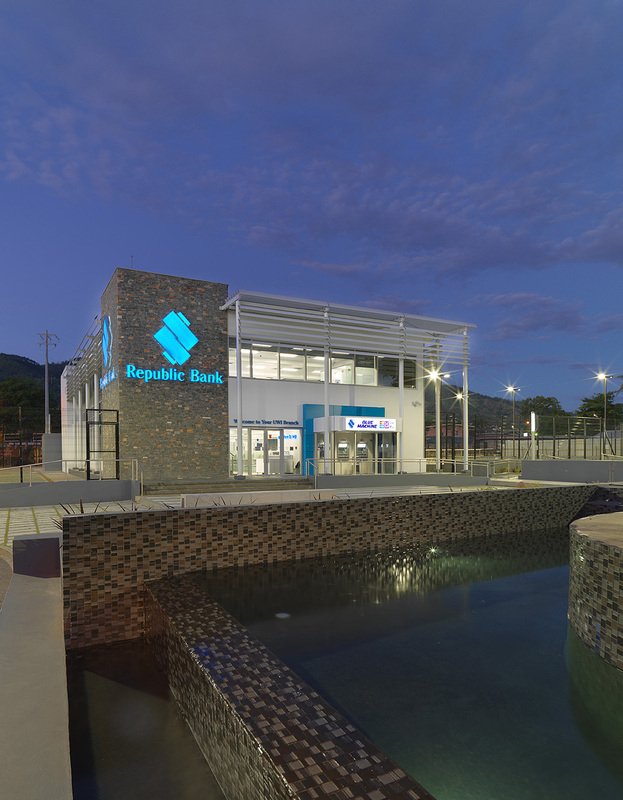 Republic Bank Limited, one of the leading financial institutions in the Caribbean has a very long and symbiotic relationship with the University of the West Indies in St. Augustine, Trinidad. 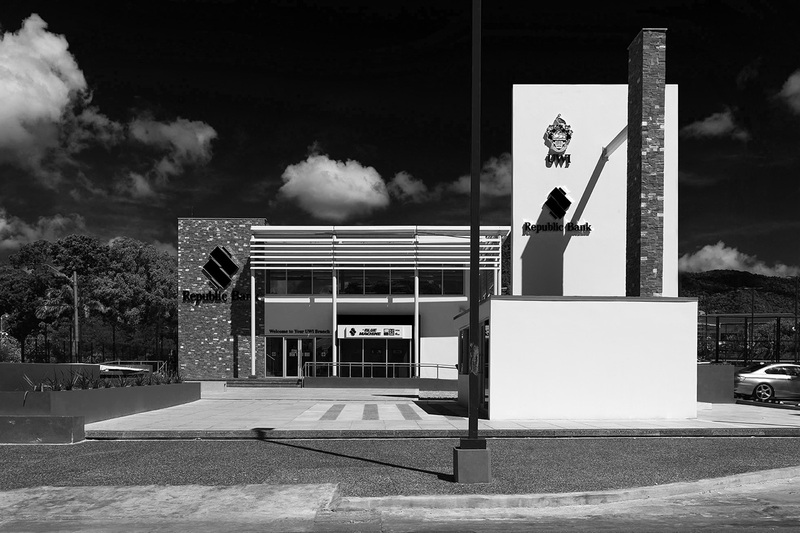 For many years, the bank was housed in a repurposed old administrative block on the campus. 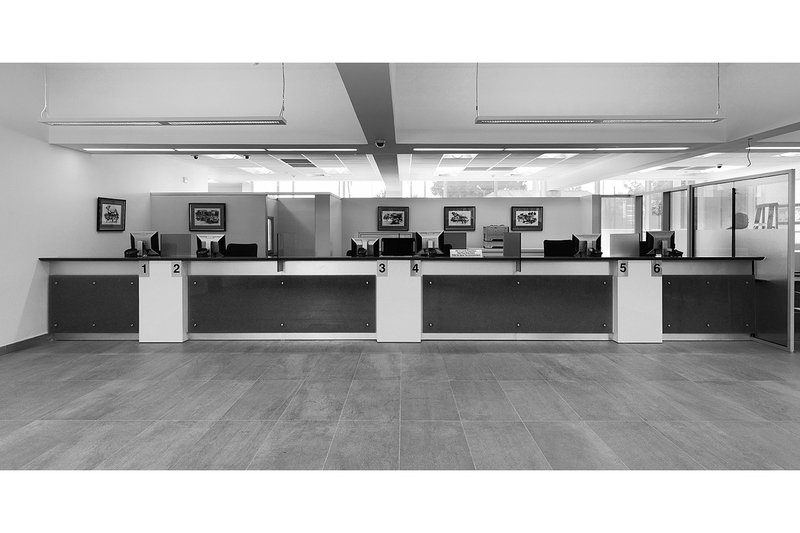 The bank had long outgrown its accommodation and was in great need of a new facility. 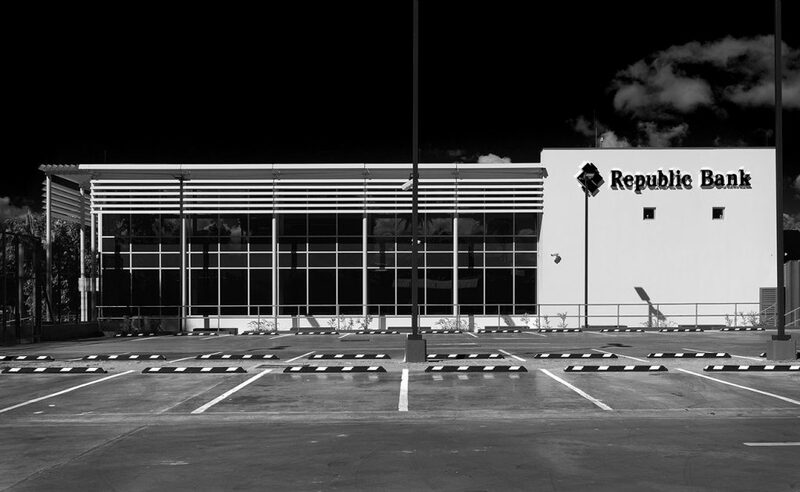 Republic Bank Limited nobly took the opportunity to create a model wherein a new branch could be built on campus while providing a component of benefit to the university. The benefit was to come in the form of student amenity. 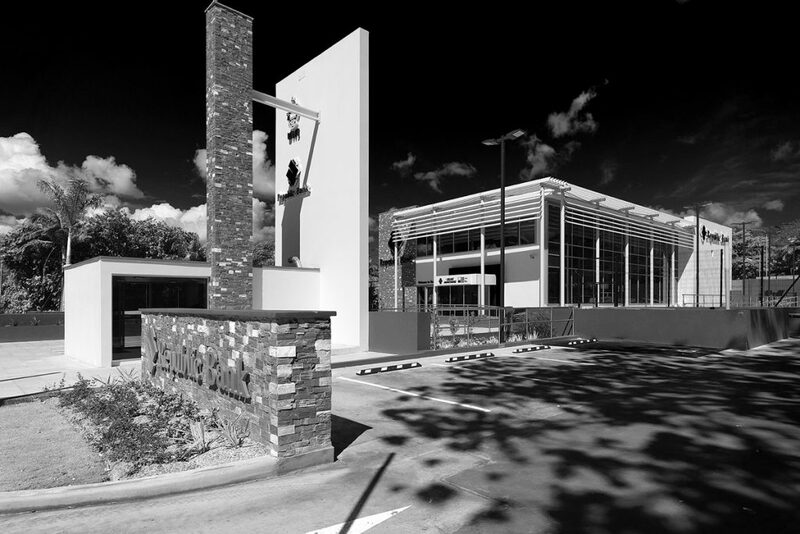 The new development includes a student-oriented banking facility, a public plaza space and coffee shop. A later phase will include a commercial block housing shops geared towards student activity and will generate revenue for the university. 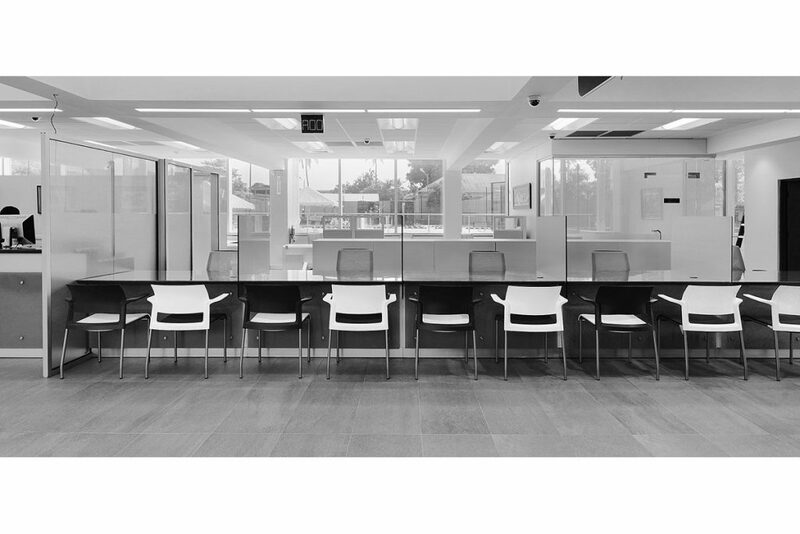 The linear block is comprised of stone and glass, allowing natural light to penetrate the office space. 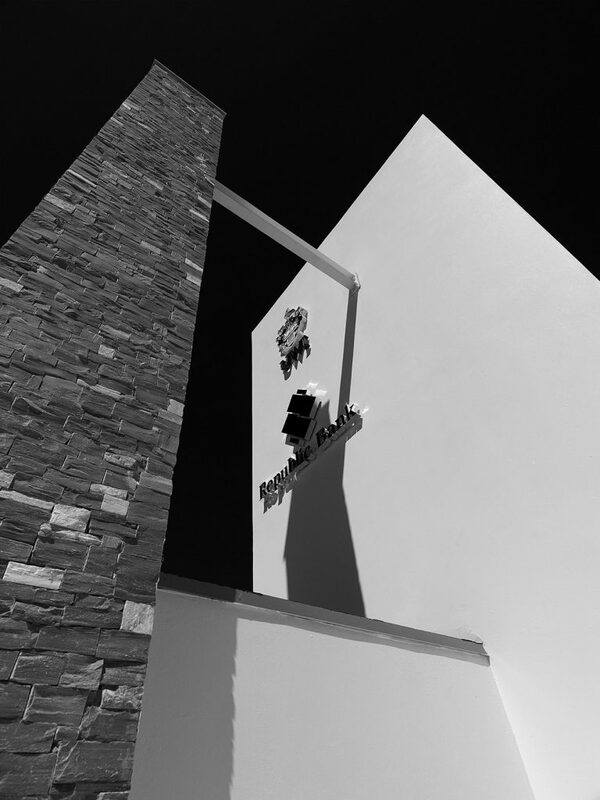 The stone adds a layer of timelessness to the facility. The narrow geometry of the building allows modularity; and, no internal columns maximizes the future flexibility of the space. 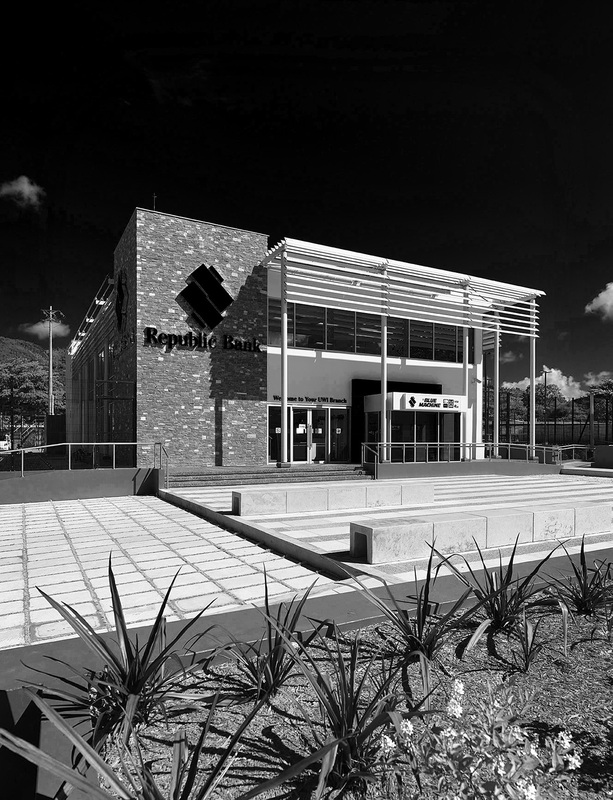 The façade is designed to maximise on shading and reduce glare through the use of gray glass and sunshading devices. Flooding is one of the site-specific challenges encountered by the design team and is a very sensitive issue for the university. Hence, low-impact development strategies were incorporated – combining hardscape with softscape, a bioswale to allow slow percolation; and a detention tank below the fountain. The car park area is designed specifically to accommodate student functions after hours, using light coloured concrete, rather than the typical asphalt. During the World Cup for example, a game may be projected unto the solid wall of the eastern façade of the building. 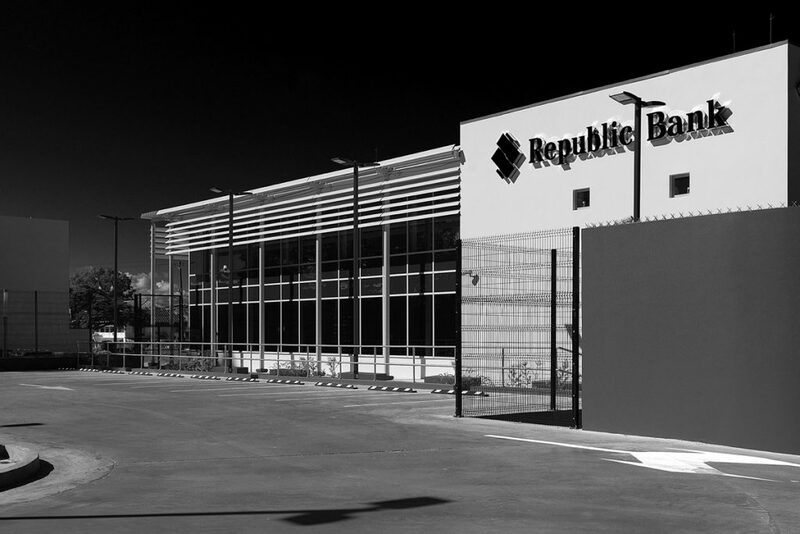 The relationship between Republic Bank and acla:works spans over 25 years. “When the bank first came to us nearly 10 years ago to design the new UWI branch, we endeavoured to create a memorable space that would enhance the campus and uplift the northern entrance to the university”. A lot of attention was given to the urban and landscape design to meet the very specific site coverage ratios. A mixture of urbanscaping and softscaping combine to create a beautiful sense of place. “Multi-stakeholder projects such as these require a tremendous amount of patience. Perseverance and dedication are key to pushing through projects with such incredible gestation periods. The end result is truly rewarding and the team effort is outstanding” says acla:works director Mandilee Newton, one of the principal architects on the project.